Chilling at the park, breathing in smoke, sipping on the boba. When I was doing Crime watch somehow one of the older American guys who would later learn from me was talking about whether Uncle Frank did Martial Arts. Now this is actually more than just American Stereotyping. Some Asians may groan and say, "Just because a person is Asian and is old doesn't mean they know Kung Fu." But look, if you were to make a movie about the Drama in Chinatown, and it was made in Hong Kong.. frankly all the powers that be would have superhuman Kung Fu as well as their mental strategies and political pull. This is because, Jin Yong wrote a lot of novels where the people in these political positions had secret and powerful Kung Fu. Part of it is just for entertainment. Plus, Chinese people like to explain greatness through practice. Training done after birth. Whereas Americans like to explain it through Divine right or genes. I.e. you are great because it is something you are born with and this power cannot be taught. Halloween is approaching, and Chinatown has some legitimate ghost stories. Fred (not his real name) shared some of his stories with me in an earlier post. Today let's focus on the spooky ones. "You know that building was all boarded up when I was a kid. It was so Ugly that we didn't even want to look at it. If we were going from Tai Tung back to the restaurant we would actually run, full speed just so we wouldn't have to look at it. It was that much of an eyesore." Later that building would house Kwong Kow Chinese School and now it is actually a community Center. The school where I learned Kung Fu is there along with several other martial arts, dance and music schools, an after school, a #library, a gallery, and most recently it is where the displaced people from the fire were staying. Vancouver Empty Home Tax: Benefiting local housing, tax on foreign nationals, or just an overall tax on the lazy? The Vancouver Empty Home Tax is the hottest topic right now for many different reasons. It relates to the influx of foreign investment in properties, the locals that have multiple properties and of course anything that's a tax will always be a touchy subject regardless of where you stand. 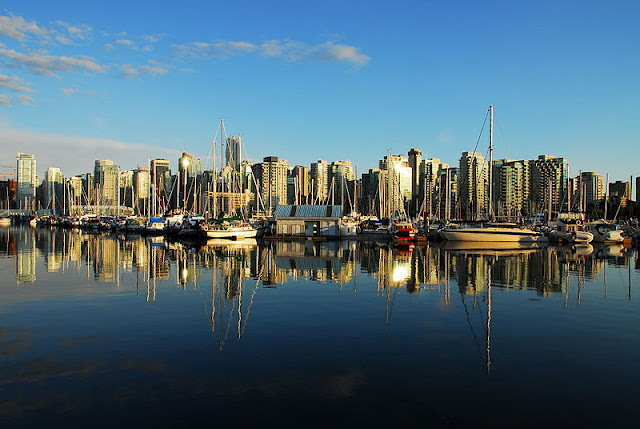 While only implemented in the city of Vancouver, many around the United States have been discussing what kind of effect it could have on their cities. If you're wondering what this tax is all about, read on and maybe you won't be so confused.